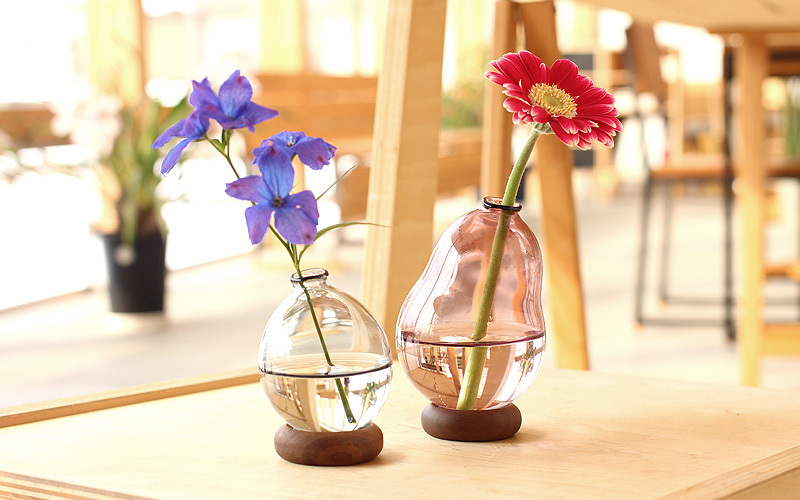 In an original structure produced together with a glassware brand, it has wooden pedestal to prevent the spherical vase from rolling over. 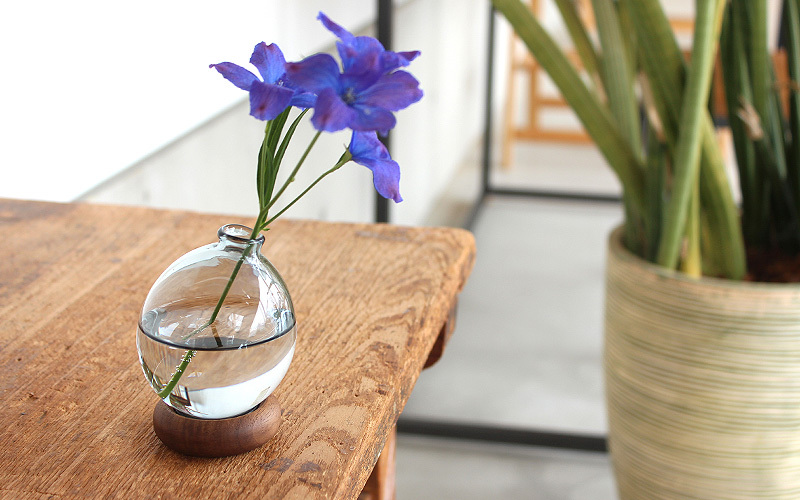 Since all are handmade carefully by craftsmen of Sghr (Sugahara Glassworks Inc.), you will not find any exact duplicates. 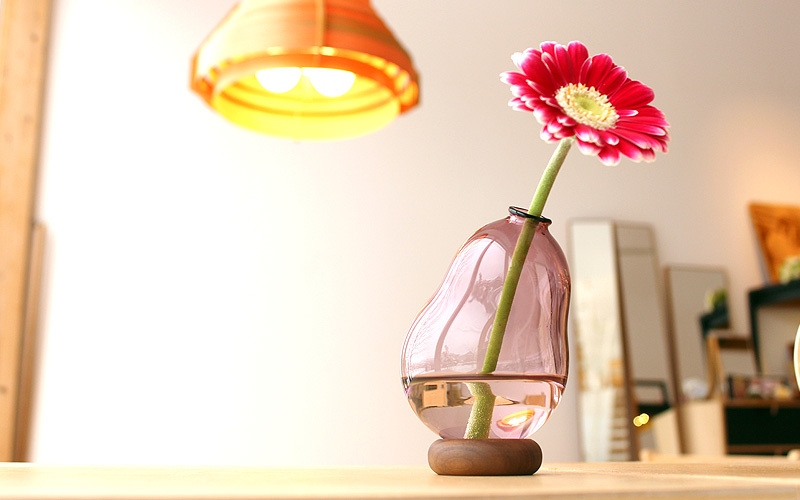 Its flowing form is finished delicately with thin wall just like a stretched balloon. Available in 2 sizes and 3 colors (wine red, indigo blue & forest green).